Last Friday, the top 12 startups from Arizona State, University of Arizona and Northern Arizona went head-to-head in the second Arizona Collegiate Venture Competition for a chance at a piece of the $30,000 prize money plus mentorship…and of course the Territorial Cup plus one year of bragging rights. In the end, all Arizona State startups took home the majority of the cash, with the winner being Force Impact Technologies, the creators of FITGuard and the grand prize of $10,000. 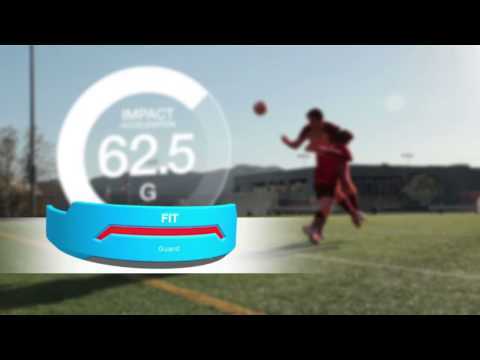 FitGuard is a revolutionary mouth guard that indicates the amount of force an athlete endures through a visual display-information from a collision is synced to their data base and ‘an individuals smartphone. As a former rugby player, co-founder of Force Impact Technologies, Anthony Gonzales was quite familiar with concussions as he experienced one himself in a multiple player collision and set out, with co-founder Bob Merriman, to increase awareness of potential injuries in youth sports by integrating technology into sports equipment. The co-founders comment on the win to AZTB, “Bob and I were honored to be selected by Arizona State to represent the school. We were most excited that every company representing ASU took home a prize. Taking first was simply an added bonus,” said Gonzales. “The FITGuard is not only an innovative product it also offers a significant health and safety factor for so many young athletes. We are also delighted that all four of our startups that competed brought home prize money to help them continue to develop their startups,” he continues. The competition was sponsored by Hool Law Group and MAC6 in collaboration with ASU’s Edson Student Entrepreneur Initiative, NAU’s NACET LaunchBox, and UA’s McGuire Entrepreneurship Program. While the ASU and UofA continue a fierce rivalry in sports, Brent Sebold, Senior Venture Manager, ASU Entrepreneurship and Innovation Group, found a sense of camaraderie and encouragement for growth among the founders throughout the competition, regardless of the outcome. Sebold also shares the Cup with their supportive community of business leaders who donate time to their entrepreneurs. While bragging rights will sustain at ASU, ventures will continue to work diligently and collaboratively to help Arizona entrepreneurism thrive. The next competition will take place at Northern Arizona University.